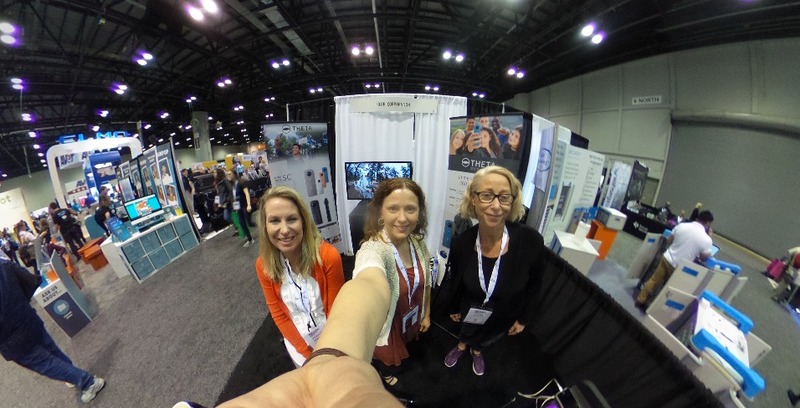 When Cindy Parks stopped by the booth to meet us, she was highly interested in the waterproof case that fits over any model Ricoh Theta 360 camera. She had just been swimming with the manatees and wished she had the chance to take an underwater shot. We couldn’t agree more and hope to inspire Cindy and more of our community members to share some underwater shots for cloning and tagging on ThingLink. 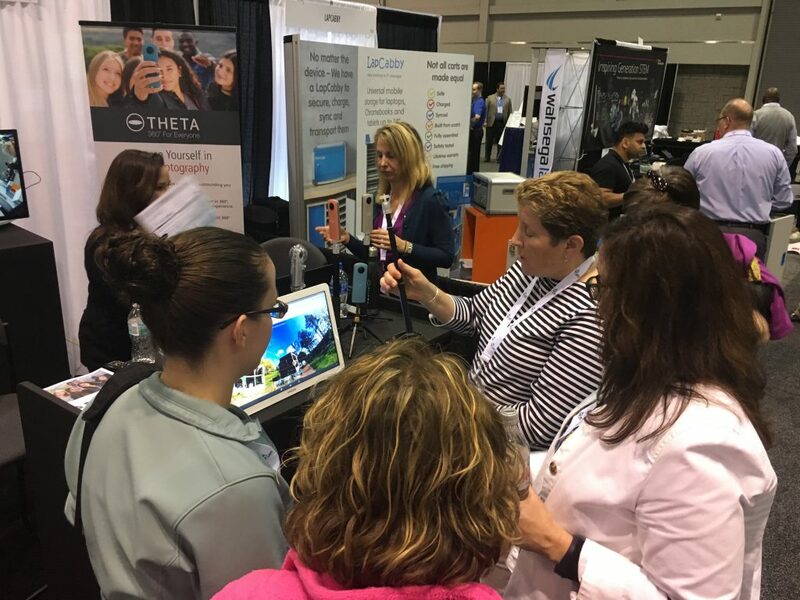 Kathy Schrock was excited to catch up with us at the Ricoh booth and get her hands on the new Ricoh Theta V. Her excitement soon gathered a crowd and she jumped in to help educators understand how to leverage the power of a Ricoh Theta camera with ThingLink. We always enjoy spending time with Kathy and the magic she brings with her. We appreciated Kathy sending so many educators our way and stopping by the booth each day. Jen and Brian Cauthers gave a powerful presentation to a room full of inspired educators on Thursday titled From Consumption to Creation: Integrating Augmented & Virtual Reality. Their session demonstrated the power of combining tools to build powerful learning opportunities that encourage student creativity. Jen shared the digital story of the NY Wetlands that surround her school. 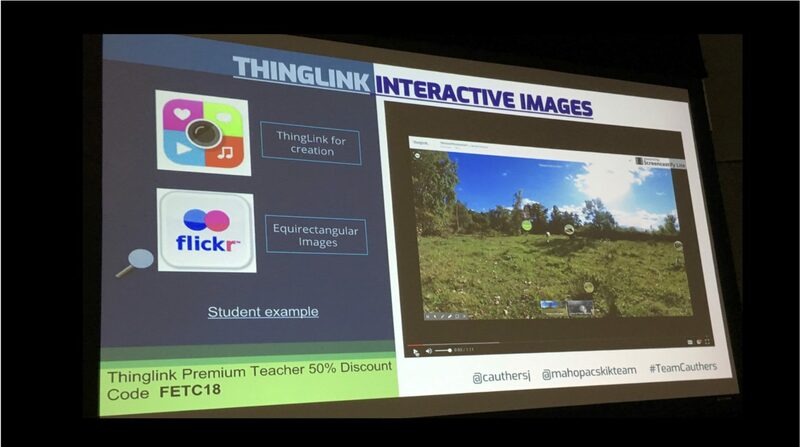 She started by taking a 360 image with her Ricoh Theta camera, uploaded it to ThingLink and added tags with media, text, and 3rd party tools to tell the story and engage students in place-based learning. This project has been featured on this blog. Read the full story here. 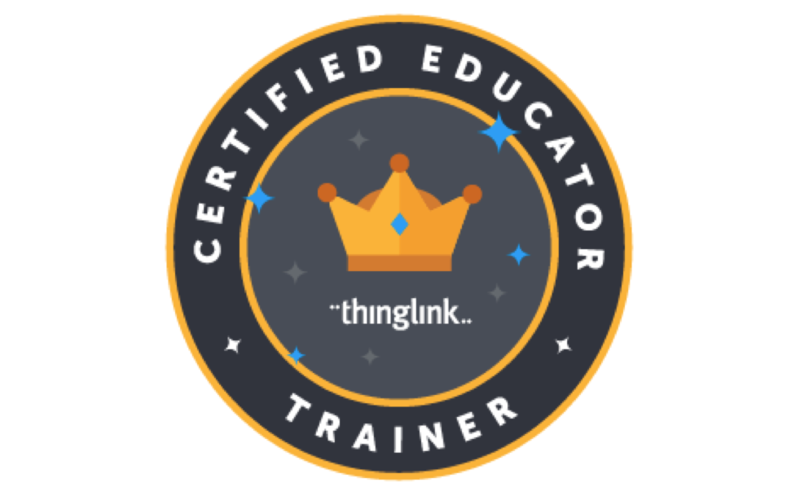 Brian truly amazed us with the 360 video he added to ThingLink’s video editing tool. On the big screen right in front of our eyes, we took a ride to the top of a rollercoaster via 360 video and just before we went over the top, a ThingLink tag appeared to ask a question! We appreciate Brian and Jen pushing the bubble and are quite happy to be able to continue to work with the talented team of educators. Thank you, #TeamCauthers for sharing your talents! 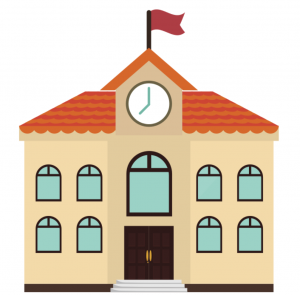 We’re rounding up educators interested in learning to create virtual tours and field trips. If you would like to join us, please take a moment to fill out the form. 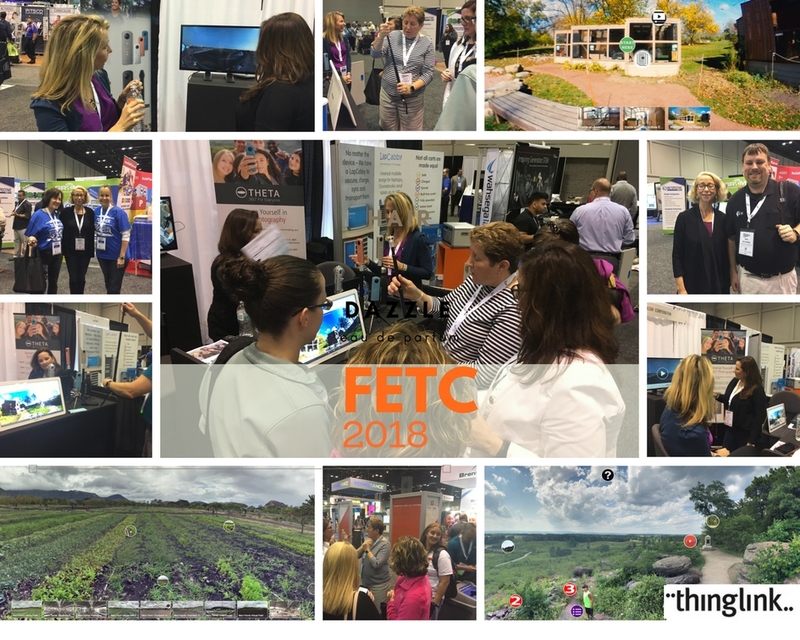 We’ll be hosting an online event in February designed to Explore, Modify and Create Virtual Field Trips. We hope you join us?